“Did I not exist as a tween?” I thought to myself as I flipped the plastic pages of my parents’ family photo album. One of the few photos that exists of me as as a pre-teen is snapshot during the holidays. 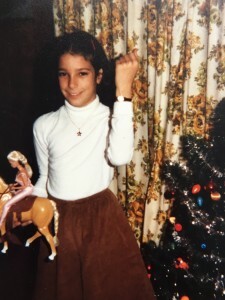 Mom had clearly been at my hair since it’s brushed out smooth and tamed with barrettes (as opposed to the usual puffball), and I was rocking a somewhat nerdy outfit of turtleneck plus stiff corduroy culottes. While I’m proudly holding up my arm to show off my ‘big girl’ watch (a ladies Timex), in the other hand I’m clutching my Barbie riding her trusty steed. What a perfect example of wanting to be grown up yet clinging to childhood at the same time. Babies are so cute, new and chubby. Toddlers have those big, bright eyes and lets face it, they just do the darndest thing. But those tween ages are often forgotten. At ages 9-12 kids aren’t children anymore but aren’t quite teens. And let’s face it: this can be an awkward and difficult time. Between growth spurts and their changing bodies, messages in the media that create pressure about appearance, shifting social situations at school and activities, and the very real issue of bullying, preteen girls really need support and encouragement at this age. 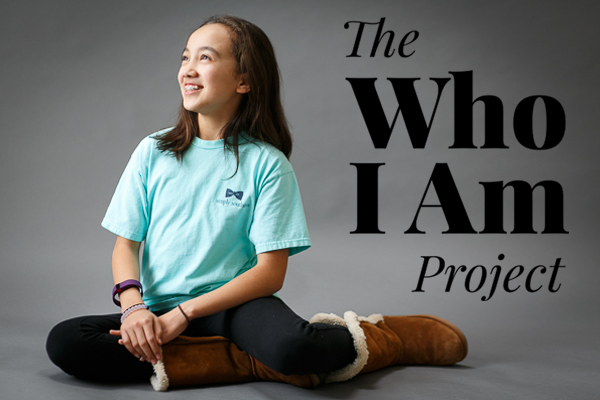 We are launching the “Who I Am” photography initiative in Smyrna/Atlanta to fill in the forgotten photo years while enriching the lives of preteens. The main goal is to help these girls look and feel beautiful and be confident in who they are. I want to not only give them the opportunity to recognize the beauty in themselves that their loved ones see, but to help them understand that they are important, unique and loved just as they are. 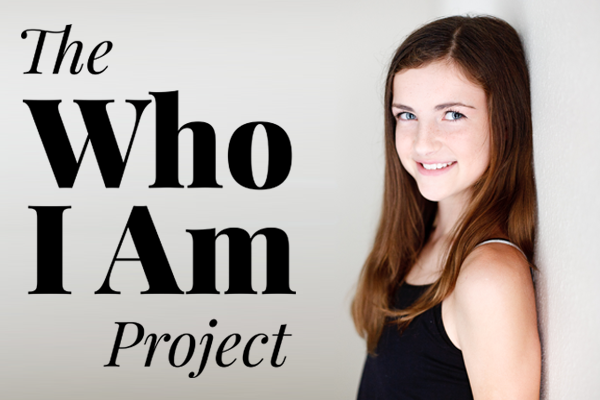 We are looking for female participants for our photography project, ages 9-12. We will ask the young lady and her parents a few questions, then combine the text and photographs from their complimentary photo shoot to create one impactful piece of art. The portrait art will be presented about a week after the photo shoot at the studio and will be available for purchase at that time. We want to capture the the personality of these girls and record the last stage of their childhood before they become young ladies. We want each girl to realize her true beauty so that she is confident in herself before she enters junior high. Imagine the impact a single beautiful image can do for her self image! Please e-mail us by Friday, March 4th if you are interested in having a young lady you know participate in this project, or if you would like to nominate a friend or family member of yours that you think would be perfect for this. For a very limited time we are offering the studio photo shoot complimentary ($150 value)…..digital images, prints and products are sold separately and will be available to purchase at your Reveal.